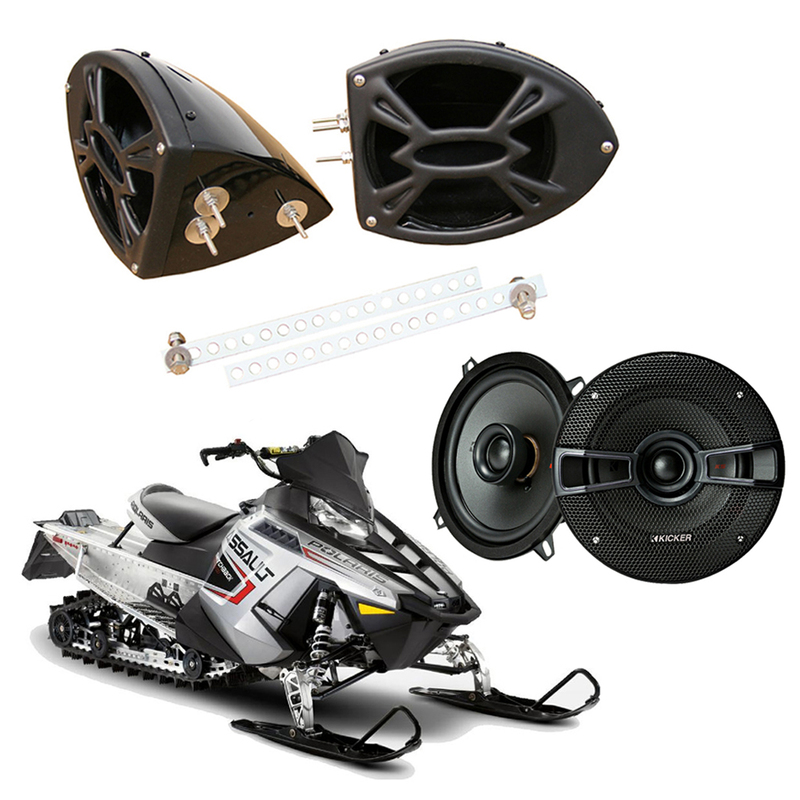 Check out our Polaris snowmobile package that includes a pair of legendary Kicker KS525 speakers and the pair of REV-R enclosures all for one low price! The pods were designed to hold 5 ??? 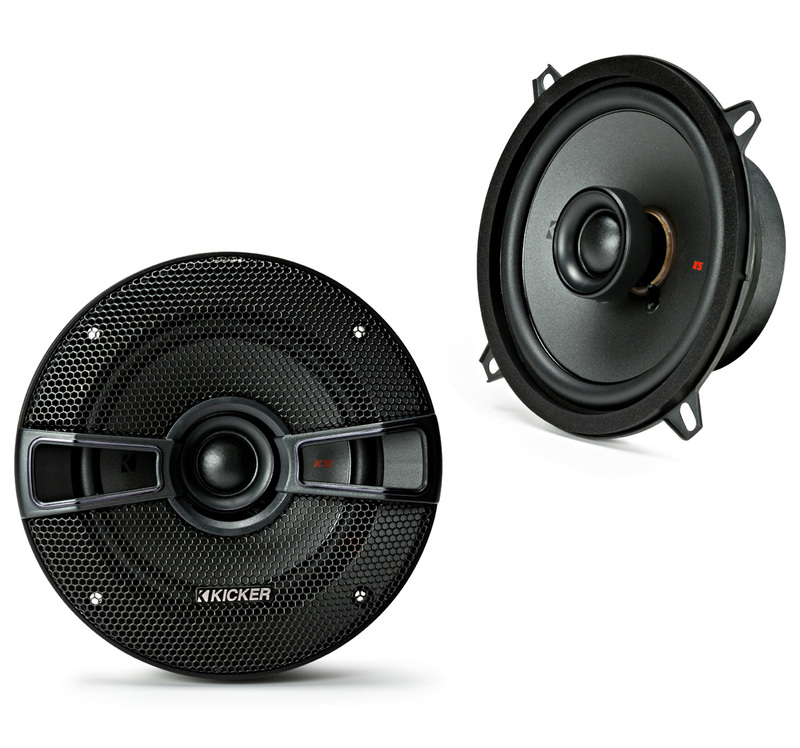 speakers however they must have the mounting tabs on the 4 corners to properly install into place (See Image). Each pair also includes metal back straps that MUST be installed for the pods to be correctly mounted. 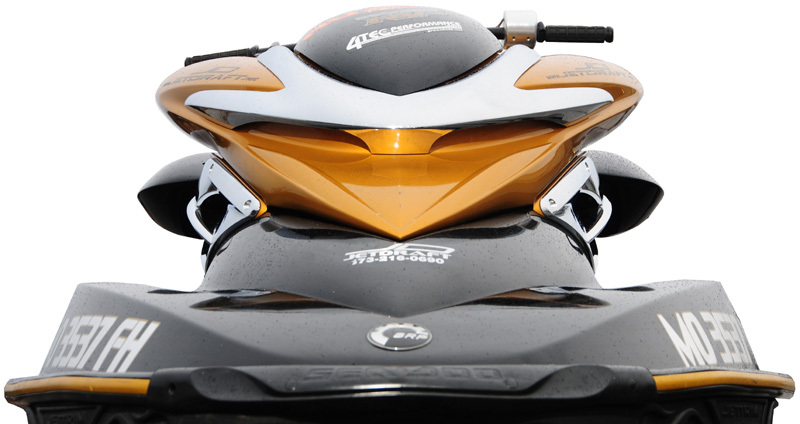 We recommend attaching the blackstrap from the pod to the actual frame of the Polaris snowmobile.